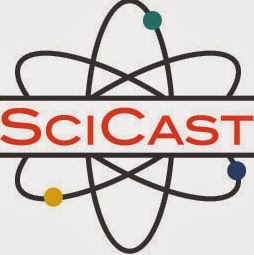 SciCast is a crowdsourced forecasting platform for science and technology run by George Mason University. It is based on the idea that the collective wisdom of an informed and diverse group is often a better predictor than the judgment of a single expert. Part of the Forecasting Science and Technology (ForeST) Program funded by the Intelligence Advanced Research Projects Activity (IARPA), SciCast questions are generated by its participants, as well as ForeST teams at Inkling Markets, George Mason University, BAE Systems and SRI International. KaDSci LLC helps scientists and policymakers formulate questions for SciCast, and Gold Brand Software, LLC is the systems integrator. SciCast is the largest S&T forecasting effort we know of, crowdsourcing in real-time from a pool of thousands of scientists and enthusiasts. Popular topics include Bitcoin, the search for MH370, chess, alternative energy, space sciences and honeybee colony collapse. We also have a richly connected set of questions on Top500 computer speeds, and another set on open problems in theoretical computer science. 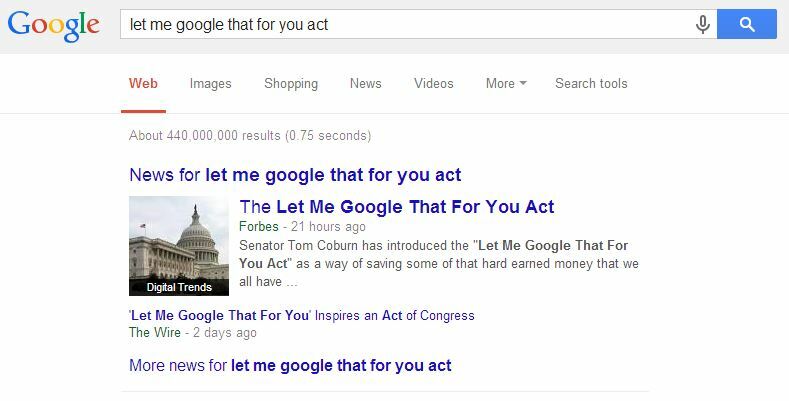 A Google search for the short title of the act, “Let Me Google That For You Act” found 440,000,000 results in 0.75 seconds. Internet search engines have replaced the need for the National Technical Information Service (NTIS), a federal agency that collects and organizes scientific and technical information derived from government-sponsored research, according to a new Senate bill introduced in early April. The bill, called the “Let Me Google That For You” Act, would strike funding for the NTIS, which is part of the Commerce Department. The NTIS was created more than 40 years ago as a way to disseminate knowledge from government funded research and reports. The need for NTIS before the onset of the internet age was clear, but today the introduced bill claims, “95 percent of the reports available from sources other than NTIS [are] available free of charge” from a website called, “www.google.com.” Currently the agency receives $67 million dollars in federal funding annually. “This highly-competitive program recruits talented, diverse individuals from the innovation community and pairs them with top civil servants to tackle many of our nation’s biggest challenges, and to achieve a profound and lasting social impact,” according to the White House. 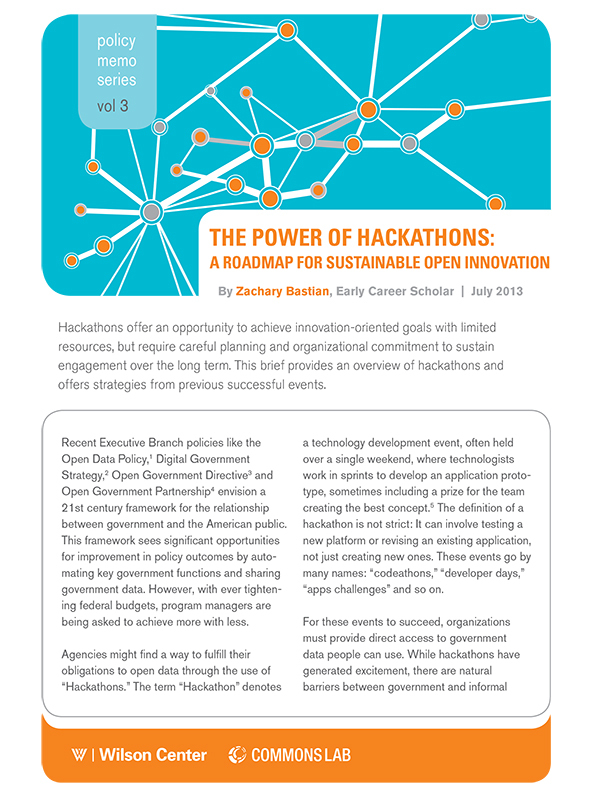 Since August 2012, fellows have teamed up with those in government to develop new solutions to all manner of problems. Think you’ve got what it takes? Applications are due April 7, 2014 — you can start the process here. 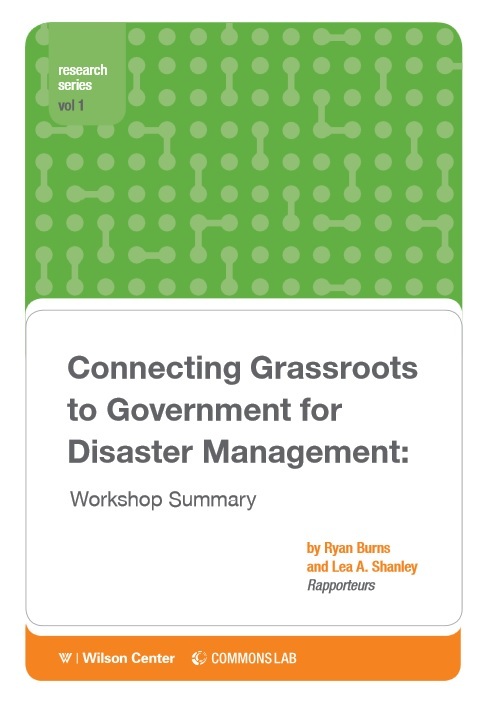 And be sure to check out our report on citizen science and government here. 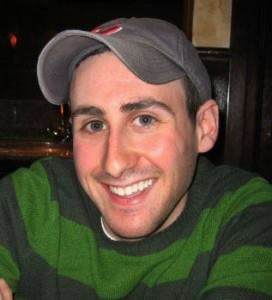 Editor’s note: In this guest post, Ian Kalin, currently the director of open data for software company Socrata and former Presidential Innovation Fellow, shares his thoughts about the tools that are available to cities looking to take advantage of the increased data flows. Knowing better than to argue with the bible of capitalism, I instead offer that The Economist missed a few of the most important civic innovation tools. Civic innovators are people who create new ways to improve cities. They can come from all corners of civic society: government, the private sector, non-profits, academics, etc. Their greatest resource is people who are motivated to work together and improve their community. 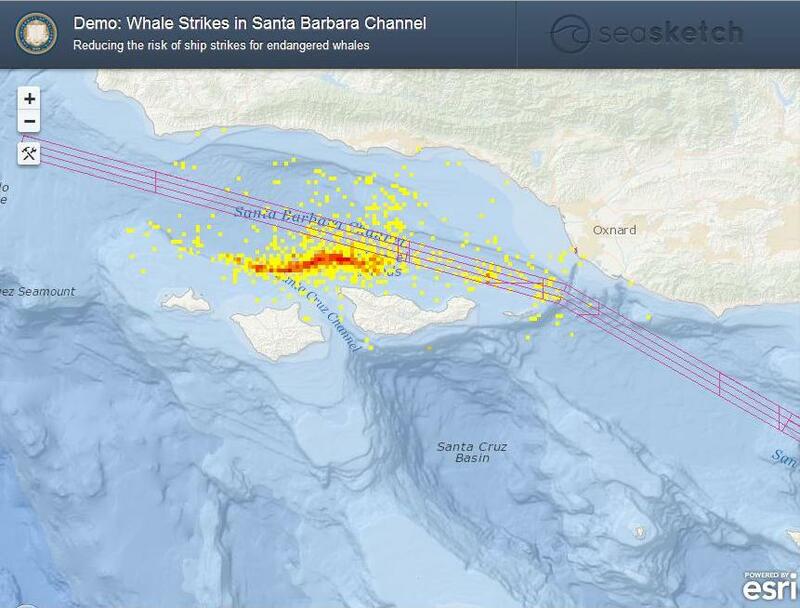 A demo of the SeaSketch platform being used to combat whale strikes in the Santa Barbara Channel. As part of the Commons Lab’s ongoing initiative to highlight the intersection of emerging technologies and citizen science, we present a profile of SeaSketch, a marine management software that makes complex spatial planning tools accessible to everyone. This was prepared with the gracious assistance of Will McClintock, director of the McClintock Lab. 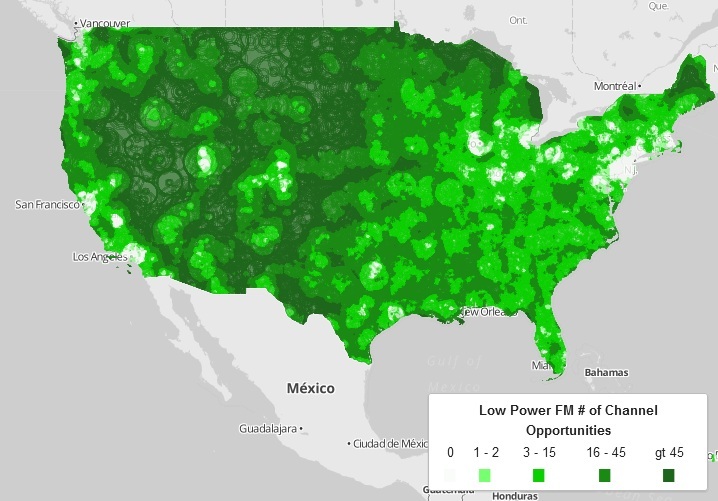 FCC Visualization of Low Power FM Availability, built on open data and explained on GitHub. Today, the Office of Management and Budget and the Office of Science and Technology Policy jointly released a new Open Data Policy directing agencies to implement specific structural reforms. In conjunction with an Executive Order prioritizing open and machine readable government information, these adjustments are forward looking and exciting. They speak to a general understanding that a deliberate approach to the way that data are processed and released can exponentially enhance their value.